It is with great honor and excitement that I introduce myself, Tekmekia Gilchrist, as the new Principal of New Manchester High School. My passion for education and supporting the success of all students has been shaped over the past 12 years as a business and marketing teacher, mentor, teacher leader, and assistant principal. In each of my roles, I have sought to ensure the success of each student and the school, by providing the best instructional and extracurricular opportunities possible. As I begin my first school year as Principal, I am energized and deeply committed to making a positive impact in the lives of our students. We will accomplish this by setting high academic expectations for all students and providing supportive systems to assure they are met. By addressing school culture, setting high standards for teacher performance, increased academic expectations and rigor, and engaging the community, it is our goal that all graduates will be college or career ready. Christopher Scott Long is entering his first year at New Manchester High School as an Assistant Principal / Athletic Director. Mr. Long comes to us from the Carroll County School System where he served one year as an Assistant Principal. Mr. Long is also returning to the Douglas County School System where he taught and coached at Chapel Hill High School. At Chapel Hill High School Mr. Long coached football, basketball and track. He received his undergraduate degree from Shorter University, his masters from the University of West Georgia, his specialist from Piedmont College and is pursuing even higher academic achievements at Piedmont College. Crystal Mattox is entering her 10th year in education and 3rd year at New Manchester. She began her career as a teacher in alternative education for Fulton County Schools. After teaching grade levels ranging from 6-12, she became a school counselor in Paulding County. After a few years, she moved to Douglas County and became a part of the Jaguar Family at New Manchester as a counselor. 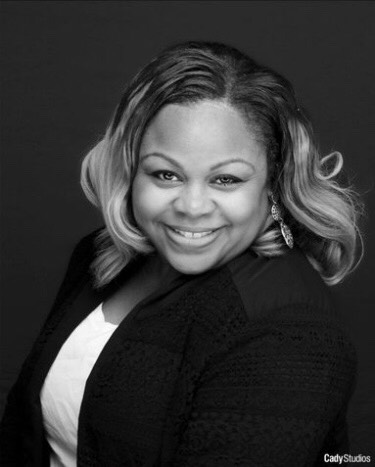 Crystal has a Bachelor of Arts in Communications with a Minor in Marketing, a Master of Education in School Counseling, Master of Education in Special Education, and an Educational Specialist in Educational Leadership. She is excited for this school year and for New Manchester to excel to new heights. Michael J. Moffett is an educator, father, mentor, and national trainer. He has shared concrete teaching and management strategies to numerous educators, social service workers, and community stakeholders. Michael graduated from California University of Pennsylvania with a B.S. in Education, Grand Canyon University with a M.Ed. in Special Education, Liberty University with an Ed.S. in Educational Leadership, and currently working on his Ed.D. in Organizational Leadership. He has 15 plus years working in the field of education and social service. Michael is dedicated to creating a structured and rigorous learning environment that guides all students and all teachers to develop attainable goals. Michael’s strong passion for student success, his ability to build positive relationships with students, and his ability to implement positive behavior support and academic strategies will be an asset to the New Manchester High School’s administration team. Mrs. Westbrook is a proud product of the Douglas County School System. This year begins her 19th year of service working in the county where she grew up and now raises her family. She is passionate for the students in this county and strives daily to find ways for increased student success. Mrs. Westbrook graduated from The University of Georgia with B.S. in Business Education. She has a MS Degree in Curriculum and Technology, and an Ed. Specialist Degree in Curriculum/Instruction Management & Administration.